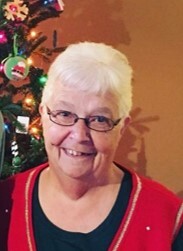 Judy Beckley VanBrussel, 74, passed away on Monday, November 19, 2018, after a brief illness. She was born on October 25, 1944, the daughter of Wilmer & Bernice (Haynes) Oswalt. Growing up in Texas Corners, she graduated from Portage Central High School, where she met her soon to be husband, Donald. Judy and Donald were married October 19, 1963, and recently celebrated their 55th wedding anniversary. After working a variety of jobs including Portage City Hall and at a local radio station, she drove a bus for Paw Paw Public Schools and retired in 2001 after more than 20 years of service. Judy loved to play solitaire, go shopping, watch game shows, and her animals, but her biggest love was her family. They made her world go around and she could always be seen at her children’s and grandchildren’s events cheering them on. Judy and Don were also foster parents for many years and loved all of the children they took in. Judy is survived by her loving husband, Donald VanBrussel; 4 Children, Stephen (Amy) VanBrussel, Kevin (Victoria) VanBrussel, Monica (Alan) Marler, and Casey VanBrussel; 7 Grandchildren, Ethan, Aidan, Deven, Evynn, Chase, Andrew, and Avery; Sister-in-law, Vivian (Doug) Blakemore; nieces, Teresa Blakemore and Lori Walker; nephews, Carl (Sarah) Blakemore and Todd (Tammie) Walker, along with many other loving family members and friends she considered family. Judy was preceded in death by her parents, her sister, Janet Grannan, and a nephew, Douglas Grannan. The family will receive friends on Saturday, November 24, 2018, at 12 Noon to 1:00 p.m. when a service will begin at Adams Funeral Home, 502 W. Michigan Ave., Paw Paw. In lieu of flowers, memorial contribution may be made out to the Humane Society.